This episode features a conversation that I had with composer Zachary Wadsworth and singer Tony Boutté during the 56th Annual Contemporary Music Festival on the campus of Sam Houston State University, where Tony and I are on faculty. Composer Zachary Wadsworth writes music that is vivid and sometimes an evocative mixture of old and new. His music has been performed around the world by groups including the Boston Metro Opera, the Tokyo Cantat, and the Buffalo Philharmonic Orchestra. With recent publications by Novello, G. Shirmer and E.C. Shirmer and airings on NPR’s Performance Today, his music has been widely broadcasted and distributed. Recordings are available on Gothic Records, Albany Records, and Innova. Tenor Tony Boutte has established himself as a first-rate singer of many styles, including opera, art song, oratorio, and chamber music from the Baroque to the music of our time. Tony is also the artistic director of New American Voices, an initiative created to champion and perform new American works for voice through the collaboration of singer and composer. And it is that project, which was a featured component of our Contemporary Music Festival, that brought us together for our conversation. Tony Boutte (vocals) with Philip Glass (piano) conclude their performance of the third act from Glass’s Satyagraha Opera, “The Newcastle March.” Performance made at “Satyagraha: Gandhi’s ‘Truth Force’ in the Age of Climate Change” presented by the Garrison Institute on April 13, 2008 at the Cathedral Church of Saint John the Divine in New York City. 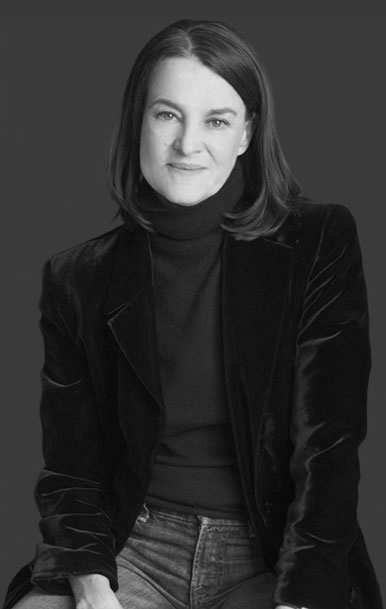 Libby Larsen is one of America’s most performed living composers. Her catalogue of some 500 compositions spans every genre from vocal to chamber music to massive orchestra and operatic works. Including a Grammy winning album in 1993, she has over 50 recordings to her credit. She continues to be in demand for commissions and premieres by artists worldwide. She is the co-founder of the Minnesota Composers Form, now the American Composers Forum, and has held residencies with the Minnesota Orchestra, the Charlotte Symphony, and the Colorado Symphony. We are thrilled to be hosting Libby at the 56th Annual Contemporary Music Festival at Sam Houston State University! You can read about that event here. Dean Rader has published widely in the fields of poetry, American Indian Studies, and visual culture. His poetry has garnered a number of awards and recognitions including the T.S. Eliot Poetry Prize. His newest collection of poetry, Self-Portrait as Wikipedia Entry, was recently published by Copper Canyon Press. As a poet, scholar, teacher, and writer/reviewer for a number of periodicals and journals, Dean does not shy away from the socio-political issues of our day. He recently wrote about teaching poetry post-truth and post-Trump for the Huffington Post and was interviewed by the Washington Post on the convergence of poetry and politics. A native of Western Oklahoma, he is now based in San Francisco where he is professor of English at the University of San Francisco. COMING SOON: Dean and I are planning another conversation to dive deeper into discussions about the intersection of art and politics. We also plan to examine some of the crossroads of our disciplines. 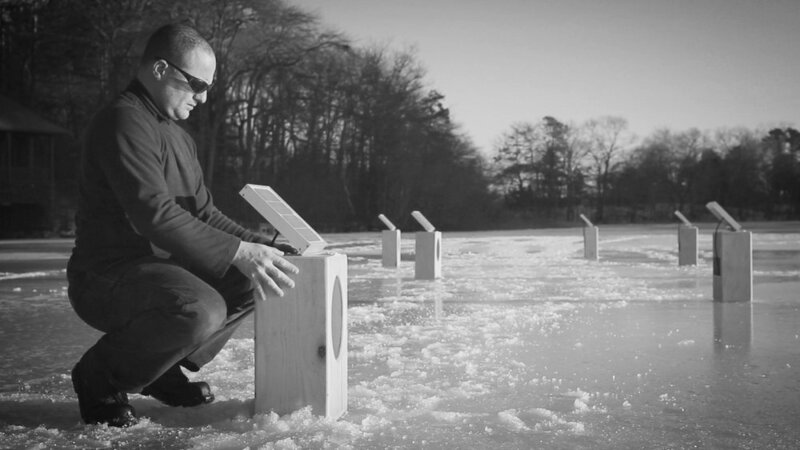 Andrea Polli is an environmental artist who works at the intersection of art, science and technology. Her interdisciplinary research has been presented in a variety of formats including public art, media installation, community projects, performances and more. Often her works express, in some way, the scientific data obtained from collaborations with scientists and engineers. Her work has been shown, exhibited, and performed worldwide. She has received support from the National Endowment for the Arts, the National Science Foundation and Fulbright, among others. 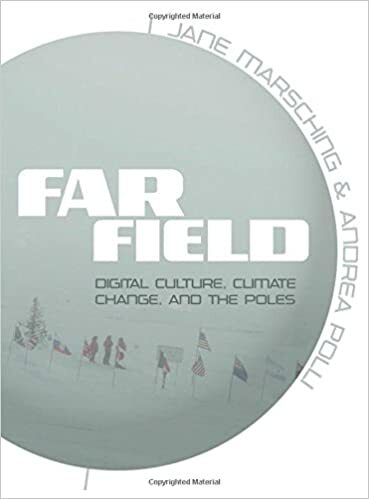 Her latest book is Far Field: Digital Culture, Climate Change and the Poles (Intellect Press). She is currently Professor of Art and Ecology with appointments in the College of Fine Arts and School of Engineering at the University of New Mexico. Much of our discussion was about how she navigates a curious intersection between science and art, while at the same time realizing her work within the socio-political landscape of our time. Below are some links for further investigation. 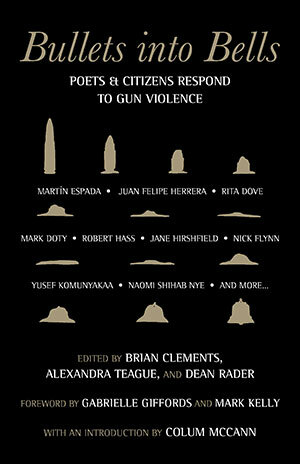 Buy Andrea's latest book HERE. Here is a link to her album, Sonic Antarctica. 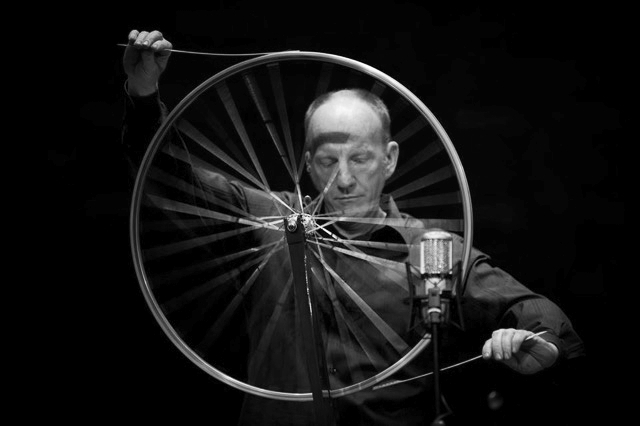 Craig Colorusso is an artist whose installations explore the intersection of sound, light, and space. Using wood, fabric, metal, and electronics, his work is elegantly simple and organic, while at the same time deeply spiritual and personal. INSTALL, a short film about his work directed by Kevin Belli, contains footage and interviews as it captures three of his major installation works. Make sure to check out Craig's essay in the new book, Environmental Sound Artists: In Their Own Words. So begins a short essay from 1975 by Richard Herbert Howe--an artist, photographer, and creator of New York in Plain Sight: The Manhattan Street Corners--written, I think, when he was a student of the iconic composer Herbert Brün at the University of Illinois. This essay was given out as part of an introduction to a course in percussion literature and history with Allen Otte at the Cincinnati College-Conservatory of Music, which some may think an unlikely place to encounter such a profound concept. The statements here about the nature of truth are as relevant today as they were when I first got this faded photocopy in 2006 and, I have to assume, as relevant as when he first started handing it to students in 1979. We have arrived at a puzzling and troubling post-truth moment in our society. When the truth is inconvenient, it is tossed aside in favor of "alternative facts." In the parlance of an earlier age, these would simply have been called lies. On the auspicious occasion of Allen's retirement this year, I've been reflecting on his teachings, in particular about the lessons learned in that class, but also on all the things I gleaned from all our interactions. Most of the revelatory learning moments for me--like the time he laughed at my first attempt at composition; not because it was bad, but because he said it made him happy--were deep lessons in being present. Al provided us a window into how to be in the world: how to be open with and contributive to each other, to our communities and society. November 9, 2016: I was traveling and preparing to give a clinic at the Percussive Arts Society International Convention and reeling from election results and what seemed to be an upending of the direction I thought America was headed. As I boarded for the flight to Indianapolis, Clinton was giving her concession speech. It felt like I had been punched in the gut. I realized that there was no way that I could give a presentation and not say something to at least acknowledge the deep feeling in my heart and the proverbial elephant in the room. "In the context of recent dramatic social events, which have provoked powerful and emotional responses, I am proud to be here celebrating art, education, and our community. Over the last eleven years of teaching, I have seen the transformative power of education. I choose to believe in an enlightened future. The composer Frederic Rzewski once said that, "music probably can't change the world, but it is a good idea to act as if it could. At the very least you stand a chance of making some good music. And music is always better than no music." January, 2017: I'm still responding. Every day there seems to be something new to protest or fight. I have a feeling this will continue for some time. I'm curious to know how other artists are responding. So, I'm going to be doing a series of posts and/or podcasts dedicated to responses from artists who want to talk about their role as an artist in our culture/society (or perhaps the role of art in society in a more general sense) and how their work may or may not change as a result of these troubling and uncertain times. I'm also interested in the intersections of art and activism.